American Bank of Commerce is a member of the MoneyPass® surcharge-free ATM network. The MoneyPass® ATM network has thousands of locations where you live, work and travel. Our valued ABC Customers will be able to enjoy significant benefits by having access to a growing network of surcharge-free ATMs nationwide. 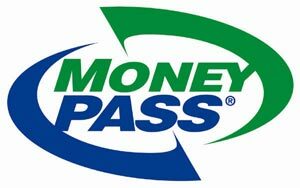 Simply visit www.moneypass.com to access the MoneyPass® ATM locator. You can also access the mobile MoneyPass® website at mobile.moneypass.com. Download locator apps for iPhone or Android. Be sure and look for the MoneyPass® logo. So go ahead, use your ABC Bank ATM or debit card now at all ATM’s listed on the MoneyPass® ATM locator site and your transactions will be surcharge-free.